Saudi Arabia "remains a critical financial support base" for terrorist groups including al-Qaida, the Taliban and the Pakistani-based Lashkar-e-Tayyiba (LeT), U.S. Secretary of State Hillary Clinton warned in a December 2009 memo made public by Wikileaks. Millions of dollars are raised for those groups, and others like Hamas, each year, the memo said, "often during Hajj and Ramadan." Saudi Arabia was the "most significant source of funding to Sunni terrorist groups worldwide," Clinton wrote in the memo sent to several U.S. ambassadors in Muslim countries and the Treasury Department. "While the Kingdom of Saudi Arabia (KSA) takes seriously the threat of terrorism within Saudi Arabia, it has been an ongoing challenge to persuade Saudi officials to treat terrorist financing emanating from Saudi Arabia as a strategic priority." The October 2009 memo, like several other released by Wikileaks, also pointed out deficiencies and reluctance among Arab nations to combat terror groups like al-Qaida, Hamas, and Hizballah. The reasons for that range from "weak regulatory oversight" in the case of the United Arab Emirates, to differing "definitions of what constitute terrorism" in Qatar. As was the case in several Arab countries, Kuwait agreed to deal with terror at home but was passive about tackling Kuwaiti financing and coordination for terrorists abroad. Kuwait "has been less inclined to take action against Kuwait-based financiers and facilitators plotting attacks outside of Kuwait," the memo said. 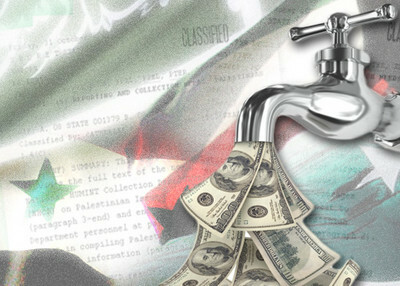 "Al-Qa'ida and other groups continue to exploit Kuwait both as a source of funds and as a key transit point." A November 2006 meeting between Assistant to the President Frances Townsend and a source, whose name has been redacted, revealed Saudi hesitance to regulate local charities. Townsend "raised the status of the commission to monitor and regulate Saudi charities," a directive that the Saudis had promised years before and which Townsend said had become "a credibility issue." The source agreed with Townsend but said that the Saudi "government was going slowly because of fears of being attacked by the religious people." In addition, "when Townsend raised the importance of the Joint Terrorist Finance Task Force," the source "replied that he wants to resolve this so they could get items like this off the agenda and focus on the real strategic threat -- Iran." In addition, the source said that the Saudi government wanted to go after terrorist financing, but had to do so "intelligently so as to not create economic martyrs for the religious extremists." The cables showed even more hesitation to deal with international terror within less cooperative nations. Syrian support for terror was one of many subjects in a June 2009 meeting between the Lebanese Prime Minister and American officials. "Most importantly, the U.S. should not allow Syria to use Lebanon as a platform or battleground" for its promotion of terror, caretaker Prime Minister Fouad Siniora told General David Petraeus. Along the nation's border with Syria, "the presence of PLFP-GC camps," a Palestinian terror organization, remained an issue of dispute. Petraeusdescribed U.S. reluctance to respond to Syrian outreach, because Syria "continues to allow Al Qaeda-affiliated facilitation networks to operate from its territory and allows the transit of suicide bombers into Iraq." In another cable, from a meeting on February 18, 2009, Syrian President Bashar Assad told U.S. congressmen and other U.S. officials that he shouldn't be expected to completely prevent terrorism smuggling between his country and Iraq. He argued that the Syrians should not be pressed, in light of the United States' imperfect monitoring of its border with Mexico. "Do your homework. My job is to protect my people, not your soldiers," Assad said. He also deflected concerns about Syrian support for Hamas and Hizballah, saying "How were they [Hamas and Hizballah] created? By conflict because Lebanon was occupied by Israel. It's normal to have resistance. This is the reality we have to deal with." Secretary Clinton's October 2009 cable also showed Pakistani unwillingness to deal with terrorism even at home. "Pakistan's intermittent support to terrorist groups and militant organizations threatens to undermine regional security and endanger U.S. national security objectives in Afghanistan and Pakistan," the document said. "Although Pakistani senior officials have publicly disavowed support for these groups, some officials from the Pakistan's Inter-Services Intelligence Directorate (ISI) continue to maintain ties with a wide array of extremist organizations, in particular the Taliban, LeT and other extremist organizations. These extremist organizations continue to find refuge in Pakistan and exploit Pakistan's extensive network of charities, NGOs, and madrassas." Internationally, Pakistan sought to undermine U.S. initiatives to designate terrorists. "On the international stage, Pakistan has sought to block the United Nations Security Council Resolution 1267 listings of Pakistan-based or affiliated terrorists by requesting that China place holds on the nominations," Secretary Clinton's memo noted. The measure still met with some success, although not against the United States' targets for the terror list. "China recently placed a technical hold on the designation of three Pakistan-based or affiliated terrorists nominated by India, although China did not prevent the most recent Pakistan-related U.S. designation nomination in June." The Clinton memo can be read in full here.